1. No change in Basic Exemption Limit for Individuals. 2. Limit U/s. 80D raised from Rs.15000 to Rs. 25000. Further increase for Senior Citizens from Rs 20000 to Rs. 30000. 3. Increase in limits of deduction under Section 80DD and 80U for disabled person from Rs. 50,000 to Rs. 75,000. It is further proposed to raise the limit of deduction in respect of a person with severe disability from Rs. 1 lakh to Rs. 1.25 lakhs. 4. Donation made to National Fund for Control of Drug Abuse (NFCDA) to be eligible for 100% deduction u/s 80G of Income-tax Act. 5. Deduction for Contribution to Pension Fund- Limit increased from Rs 1 lakh to Rs. 1.50 lakh. 6. Payments to the beneficiaries including interest payment on deposit in Sukanya Samriddhi scheme to be fully exempt. 7. Employee’s contribution to EPF below an income threshold will be optional without reducing employer’s contribution. 8. Transport Allowance Limit increased from Rs. 800 per Month to Rs. 1600 per Month. 9. Individual tax payer will benefit to the extent Rs 4,44,200 from the exemptions announced. 11. Yoga included in the ambit of charitable purposes under the Income Tax Act. 12. Specified Domestic Transaction Limit proposed to increase to 20 Crore from 5 Crore. 13. Income Tax on Royalty Fees For Technical Reduced from 25% to 10%. 14. No Cash transaction of more than Rs. 20,000/- towards payment of advance for Infrastructure transaction. 15.Quoting PAN is Mandatory for all Transactions above Rs. 1 Lakh. 16. 300% penalty and 10 yrs rigorous imprisonment on concealment of Income. 17.Wealth Tax act abolished and 2% Surcharge imposed on Super Rich having Income above 1 Crore. 18. Corporate Tax Rate reduced from 30% to 25% over next 4 years. 19. MAT rationalised for FIIs and members of an AOP. 20. GAAR deferred by 2 years. 21. Monetary limit for a case to be heard by a single member bench of ITAT increase from 5 lakh to15 lakh. 22. Tax free infra bonds for road, rail and irrigation projects. 23. FM’s proposal to rationalise capital gains tax regime for real estate investment trusts (REIT’s). 24. Domestic Transfer Pricing limit increased from 5crores to 20 crores. a) Service-tax plus education cess increased from 12.36% to 14% to facilitate transition to GST. b) Expect to implement Goods & Services tax by April 2016.
c) Enabling provision to introduce Swacch Bharat Cess on all or any of the taxable services at a rate of 2% of the value of such taxable services. d) Online Service Tax Registration within two working days. e) Time limit for taking CENVAT Credit on inputs and input services is being increased from six months to one year. f) Service Tax assessees are being allowed to issue digitally signed invoices and maintain other records electronically. 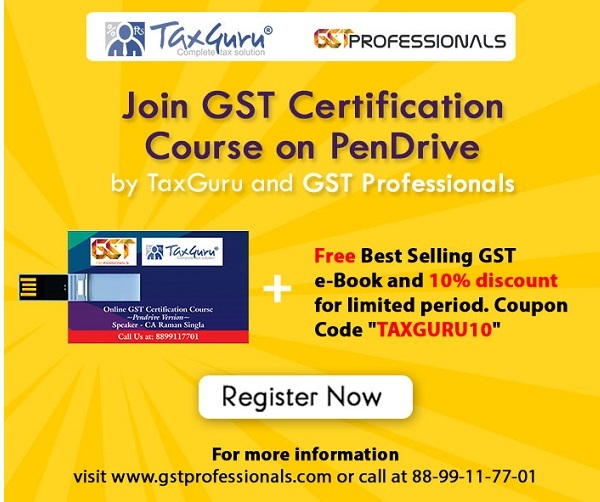 g) Penalty provisions in Service Tax are being rationalized to encourage compliance and early dispute resolution. h) Services by common affluent treatment plant exempt from Service-tax. i) Service Tax exemption extended to certain pre cold storage services in relation to fruits and vegetables so as to incentivise value addition in crucial sector. j) Service-tax exemption on Varishtha Bima Yojana. k) Service Tax exemption withdrawn on Mutual Fund Agents to AMC and extended to pre cold storage and warehousing. a) Basic Excise duty rate has been changed from 12% to 12.50 %. b) Since Education Cess and Secondary & Higher Education Cess leviable on excisable goods are being exempted in general, there will be no corresponding levy as CVD on imported goods. c) Simultaneously, the standard ad valorem rate of duty of excise (i.e. CENVAT) is being increased from 12% to 12.5%. d) Specific rates of Basic Excise Duty on petrol, diesel, cement, cigarettes & other tobacco products (other than biris) are revised. e) However, the total incidence of various duties of excise on petrol and diesel remains unchanged. Other Basic Excise Duty rates (ad valorem as well as specific) with a few exceptions are not being changed. f) Excise duty on footwear with leather uppers and having retail price of more than `1000 per pair reduced from 12% to 6%. g) Inputs for use in the manufacture of LED drivers and MCPCB for LED lights, fixtures and LED lamps from 12% to 6%. h) Mobiles handsets, including cellular phones from 1% without CENVAT credit or 6% with CENVAT credit to 1% without CENVAT credit or 12.5% with CENVAT credit. i) NCCD of 1% on mobile handsets including cellular phones remains unchanged. j) Wafers for use in the manufacture of integrated circuit (IC) modules for smart cards from 12% to 6%. k) Tablet computers from 12% to 2% without CENVAT credit or 12.5% with CENVAT credit. l) Solar water heater and system from 12% to Nil without CENVAT credit or 12.5% with CENVAT credit. m) Excise duty on cigarettes is being increased by 25% for cigarettes of length not exceeding 65 mm and by 15% for cigarettes of other lengths. Similar increases are proposed on cigars, cheroots and cigarillos. n) Excise duty of 2% without CENVAT credit or 6% with CENVAT credit is being levied on condensed milk put up in unit containers. It is also being notified for the purpose of valuation with reference to the Retail Sale Price with an abatement of 30%. o) Excise duty of 2% without CENVAT credit or 6% with CENVAT credit is being levied on eanut butter. p) Excise duty on sacks and bags of polymers of ethylene other than for industrial use is being increased from 12% to 15%. q) Excise duty on chassis for ambulances is being reduced from 24% to 12.5%. r) The levy of additional duty of excise @ 5% on “waters, including mineral waters and aerated waters, containing added sugar or other sweetening matter or flavoured” is being omitted. Simultaneously, the Basic Excise Duty on these goods is being increased from 12% to 18%. s) Concessional customs and excise duty rates on specified parts of Electrically Operated Vehicles and Hybrid Vehicles, presently available upto 31.03.2015, is being extended upto 31.03.2016.
t) Excise duty structure of 2% without CENVAT credit or 12.5% with CENVAT credit is being prescribed for tablet computers. u) Full exemption from excise duty is being extended to captively consumed intermediate compound coming into existence during the manufacture of Agarbattis. Agarbattis attract Nil excise duty. v) Online central excise to be done in two working days. w) Central Excise are being allowed to issue digitally signed invoices and maintain other records electronically. x) Penalty provisions in Central Excise are being rationalized to encourage compliance and early dispute resolution. a) Reduced Custom Duty on 22 Items. b) Customs Education Cesses will continue to be levied on imported goods. c) Penalty provisions in Customs are being rationalized to encourage compliance and early dispute resolution. d) Increase in Basic Customs Duty of Metallurgical coke from 2.5% to 5%. e) Tariff rate on iron & steel and articles of iron or steel, increased from 10% to 15%. However, there is no change in the existing effective rates of basic customs duty on these goods. f) Tariff rate on Commercial Vehicles from 10% to 40% and effective rate from 10% to 20%. g) However, customs duty on commercial vehicles in Completely Knocked Down (CKD) kits and electrically operated vehicles including those in CKD condition will continue to be at 10%. 1. Amendment in SEBI and RBI Laws. 2. Proposed to merge commodities regulator with SEBI. 3. Vision of a building direct regime which will be internationally competitive. 4. Monetary Policy Framework Agreement with RBI, to keep inflation below 6%. 5. Government firm on journey to achieve fiscal target of 3% of GDP. 6. Forward Markets commission to be merged with SEBI. 7. Section-6 of FEMA to be amended through Finance Bill to provide control on capital flows as equity will be exercised by Government in consultation with RBI. 8. FEMA Act to be amended to incorporate Black Money provisions.